If you suffer from nearsightedness, farsightedness, or astigmatism, you may be considering LASIK (laser-assisted in-situ keratomileusis). This procedure takes just minutes, but it can have a dramatic impact on your sight. In fact, like many patients, you could enjoy 20/20 vision or better after your procedure. Before recommending LASIK, Dr. Stainer will conduct a complete exam to determine your candidacy for the treatment. One of the most important things he will consider is the thickness of your corneas. Thin corneas can make it difficult for him to create the necessary flap of tissue, and they can increase your risk for long-term complications. Fortunately, even if you do have thin corneas, we may be able to perform an alternate treatment to improve your vision. To learn more about LASIK and corneal thickness, contact our Bakersfield practice today. LASIK will correct the path of light as it travels through your eye. Most vision problems occur because light does not focus on the center of your retina, as it should. 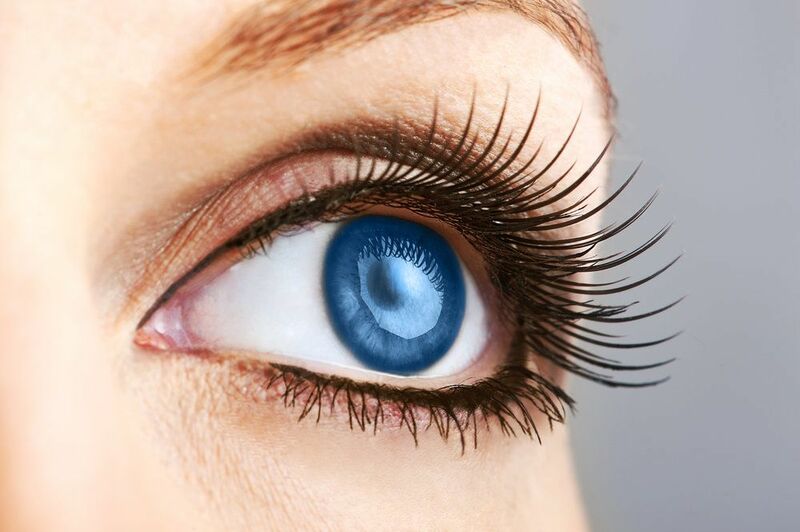 During LASIK, Dr. Stainer will use a femtosecond laser to create a thin flap in the surface of your cornea. Then he will reshape your cornea using the Allegretto Wave™ Eye-Q Excimer Laser. The laser’s path will be calibrated to the exact dimensions of your eye, meaning Dr. Stainer can achieve a precise degree of correction. By removing small portions of tissue, he will redirect light so that it lands in the center of your retina. Once Dr. Stainer creates the flap and reshapes your cornea, you will have a remaining bed of tissue. The amount of tissue left will determine the stability of your vision. Most people’s corneas are between 500 and 550 microns thick (approximately half a millimeter). Typically, your doctor will create corneal flaps that measure between 160 and 200 microns. For stable vision, the remaining tissue bed should be at least 250 microns thick. If you have less tissue, you will be at risk for corneal ectasia. This condition will cause your cornea to bulge, leading to progressively worsening vision. For qualified patients, LASIK involves negligible risks. Therefore, measuring corneal thickness is a vital step in your LASIK evaluation. Dr. Stainer will conduct a simple pachymetry test to measure your corneas. The pachymeter will send out ultrasound waves to obtain an accurate number. The test takes minutes and is discomfort-free. My Doctor Says I Have Thin Corneas. What Now? If your corneas are too thin for LASIK, we offer other vision correction procedures that may be more appropriate for you. PRK (photorefractive keratectomy) is one of the most popular alternatives. The precursor to LASIK, PRK works similarly. However, instead of creating the flap, Dr. Stainer will remove the top layer of corneal tissue. This layer will grow back on its own within a few weeks. Dr. Stainer may also recommend implantable contact lenses. Theses lenses work just like the removable lenses you may already wear. However, because they will be permanently fixed in your eye, they are more convenient. Additionally, if you are severely nearsighted, they may offer a higher degree of vision correction than LASIK. Learn more about LASIK and determine your candidacy for treatment. Contact Southwest Eye Care and Laser to schedule an evaluation and pachymetry test.